“Uruka” is the first day of Bihu festival, when overnight feasts are organized in Assam, especially with fish delicacies. From a telephonic chat with Javed Asrar of Uruka, I had come to know that they are mostly into home delivery of select Assamese dishes. However, Javed told me that he can host us at his place with prior notice. The menu was sent across and the order placed. On the appointed day I landed up at Javed’s residence at Gunrock with my family to try out his fare. As we were waiting in his drawing room, Javed and his wife Keya were giving final touches to the food. He told us that it had been his quest to present authentic Assamese preparations to the food lovers of Hyderabad. 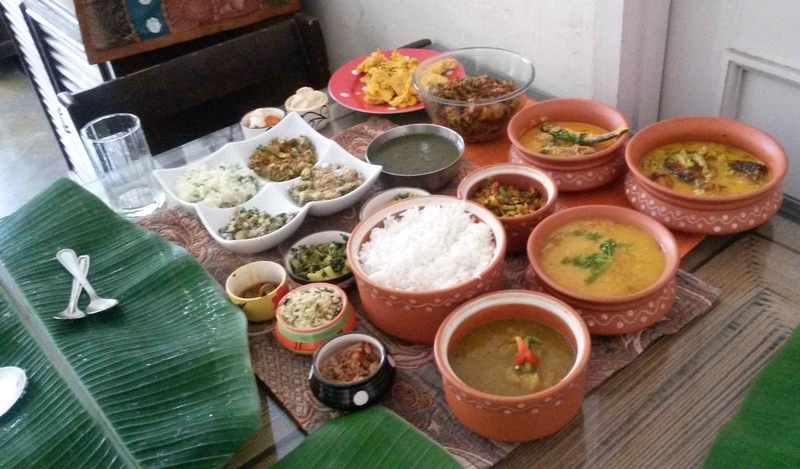 Soon the table was laid out with around eighteen different Assamese dishes. 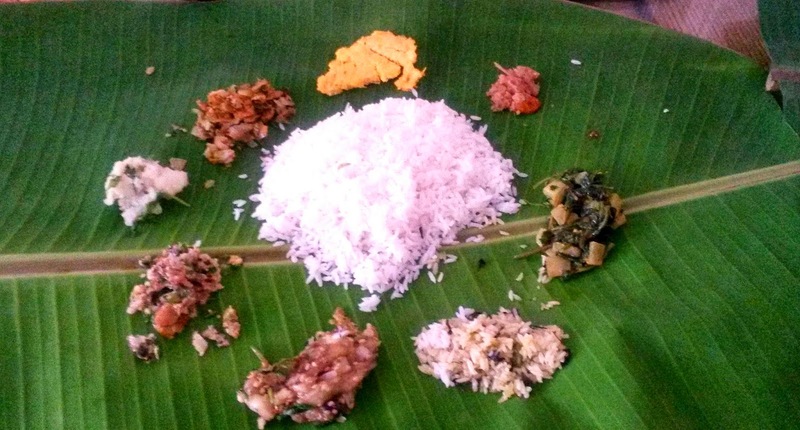 The meal was served in banana leaves as per traditional custom. The rice served was Joha, a flavoured rice also known as Gobindobhog in Bengali. 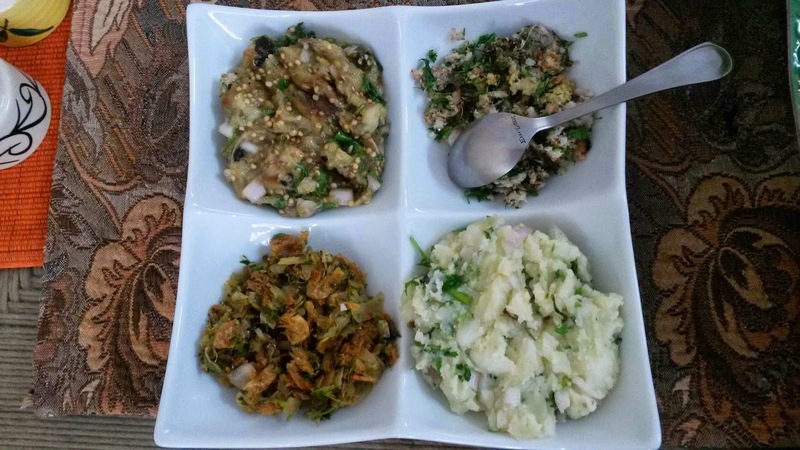 Along with the rice was a platter of four delicacies - Aloo Pitika, which is mashed potatoes garnished with onions and select greens, Bengana Poora, a smoked brinjal chutney akin to the Bengali counterpart, Xukan Maasor Chutney, a chutney made out of dry fish and select spices and finally the best of the lot, Goroi Maaser Hona – a preparation of snakehead fish which went very well with rice. Additionally, there were two chutneys served on the table, the super spicy Bhut Jolokia chili and Boah Gaaj (bamboo shoot). Both tasted superb, though one needs to be very careful in picking very little of the former as it is the hottest natural growing chili available. Next we were served Khar, a signature Assamese preparation. The Khar was made of gourd. Javed told me that it is an alkaline dish which cleans up the digestive system. 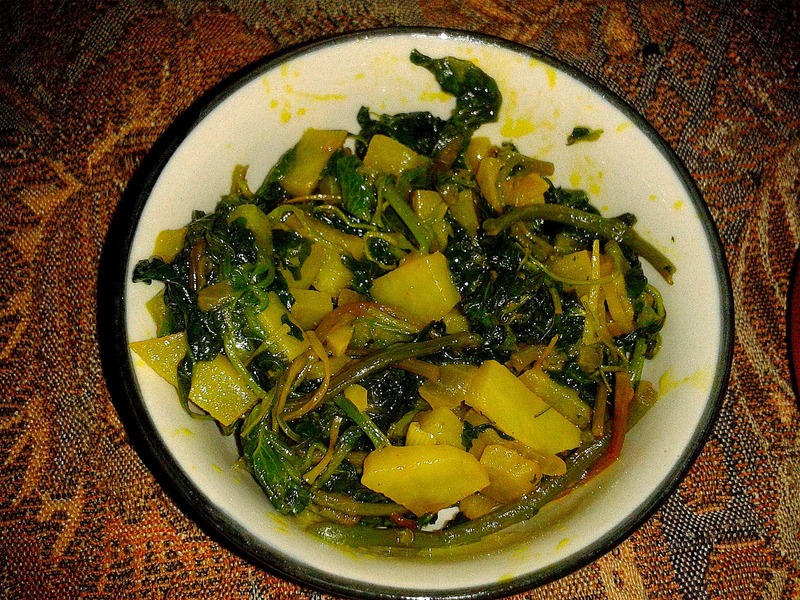 The Masoor Dal went well with Masor Koni (Fish egg pakodas) as well as Khutora Saag. There was also Kossur Saag (Colocasia leaves) a fragrant gravy. 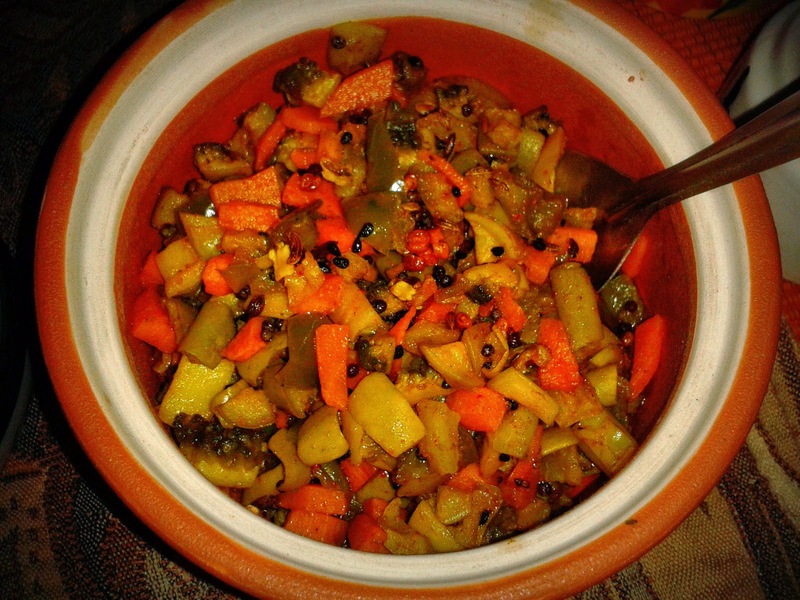 Xanmiholi Sabji – a mixed vegetable dish with karela, carrot, potatoes and some other vegetables was also admired a lot. Javed mentioned about Exho Ebidh haak or 101 vegetables which is a preparation during Bihu. 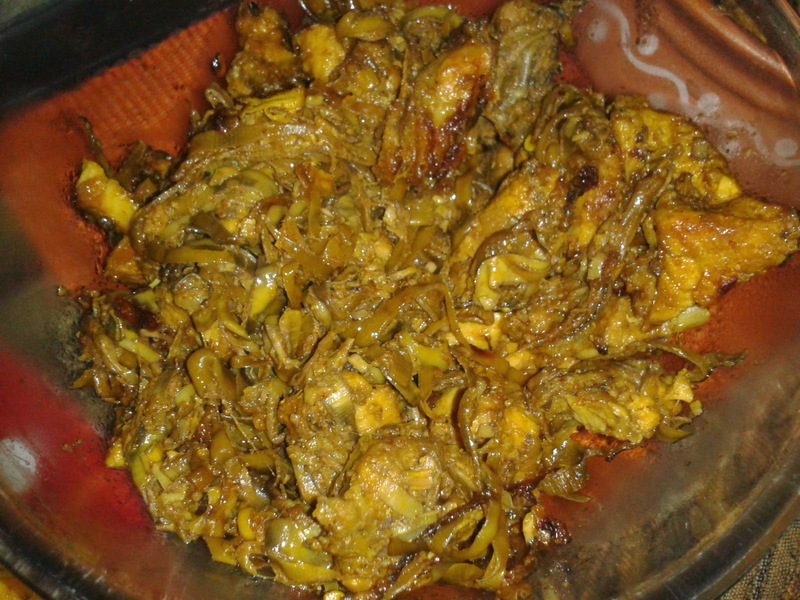 In the non-vegetarian section, there was a chicken preparation in banana flower (Koldil Diya Kukura Mangxo). I am a huge fan of banana flower but this was the first time I tried it with chicken. 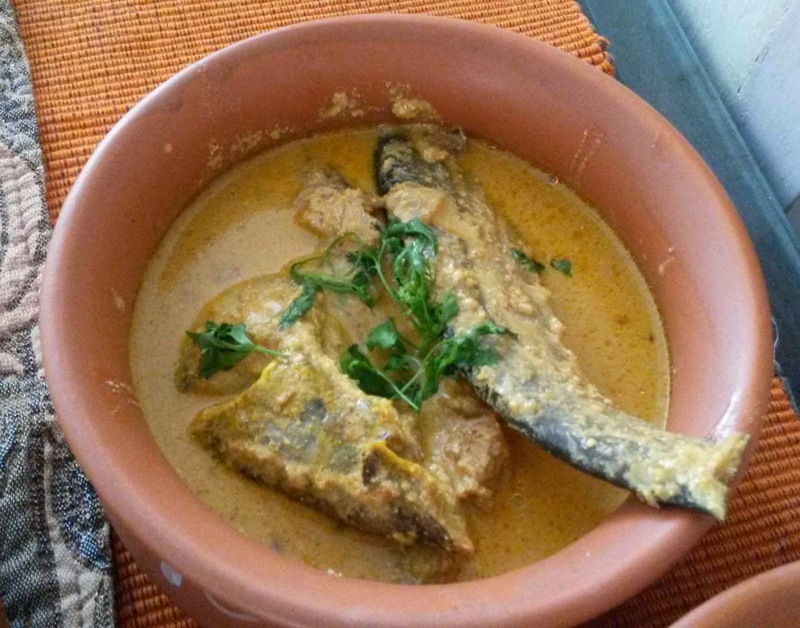 Pavo Maasor Sorsori was the mustard based gravy of pabda fish. The mustard was very strong giving a special flavor,as in this preparation, mustard is ground into a paste and then cooked giving it a slightly bitter taste. 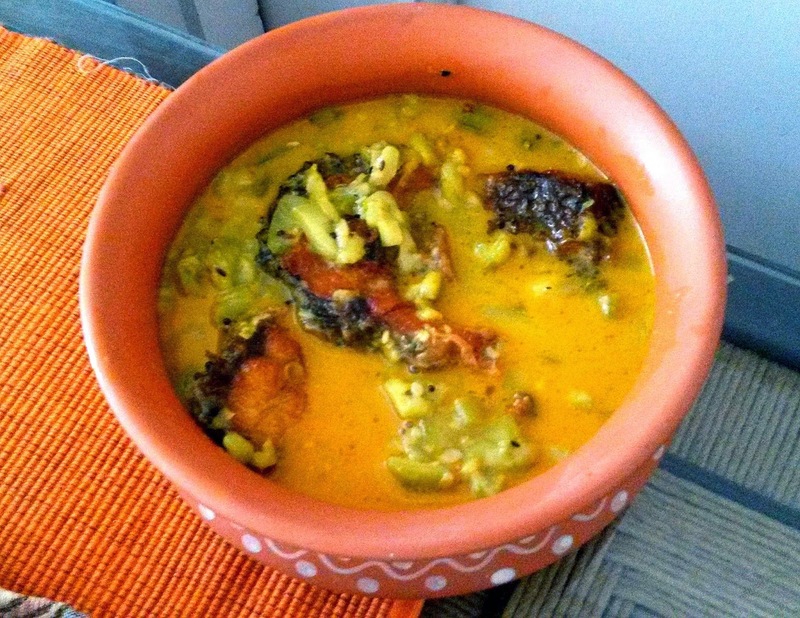 Another hallmark Assamese dish served was Rohu Tenga, the sour fish curry. 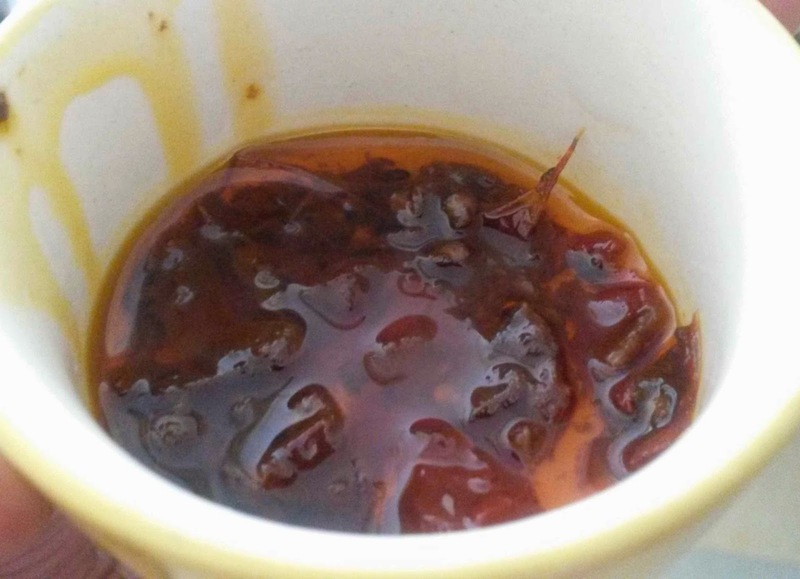 Javed had used lemon in it, but mentioned that tenga can be prepared using other souring agents such as tomatoes. Small pieces of ridge gourd (turai) in the sour curry made it really delicious. As per Javed, turai can be replaced by other vegetables too like aloo, karela or brinjals. 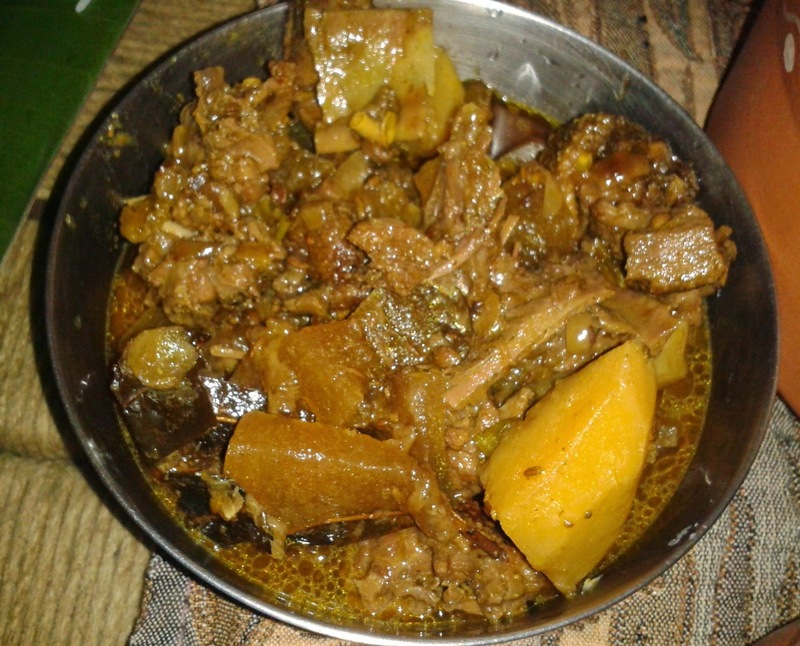 The duck curry (Hanhor Mangxo) was a tradition Assamese curry cooked with potatoes. 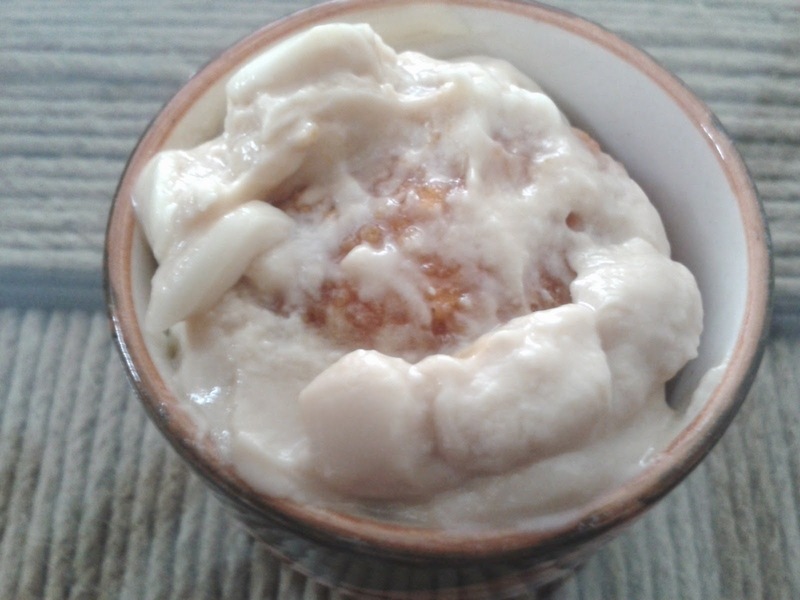 We completed our meal with Doi Mihidana, sweet curd poured over mihidana. Although I am no judge of the authenticity of these not so familiar preparations, the taste and flavor of most of the dishes overwhelmed me. The spread was huge but surprisingly, though there are many items in the set menu, you do not feel too heavy after this meal. Uruka has plans to set up a restaurant in future. Till then either order the food to be home delivered or request Javed for a sit-in meal at his place. Javed often briefs the customer in detail about the cuisine and how it should be savoured. He will be extremely happy to share his knowledge of Assamese cuisine with you. Finally, most of Assamese dishes are not very spicy. 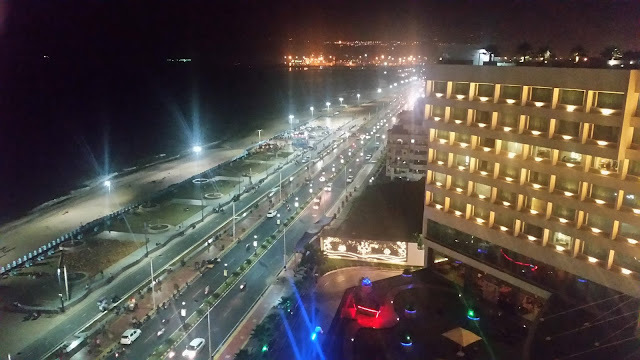 For us Hyderabadis, it is important to set our expectations correctly before we try it. Address: Uruka, Gunrock Enclave Phase 1, Karkhana, Secunderabad. The sit-in meal seems to be impressive. That way one surely does get the needed attention and the details of what we are actually eating. One more item added to my to-do list. We were 3 people .. yes all cooked for 3 people... they do home deliveries also.. so maybe there were more orders. we looking forward to have dinner with them from uruka..